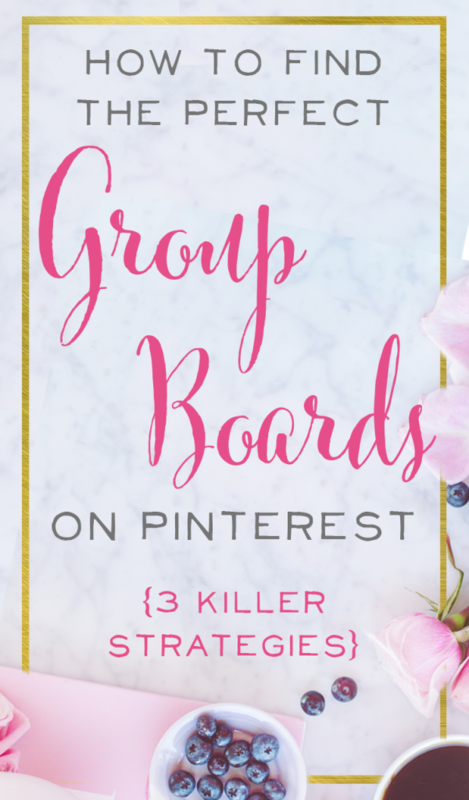 Finding the right group boards to join on Pinterest can feel like a wild-goose chase. They remain an elusive mystery to many pinners, while others seem to have mastered them and joined tons of high-powered group boards. 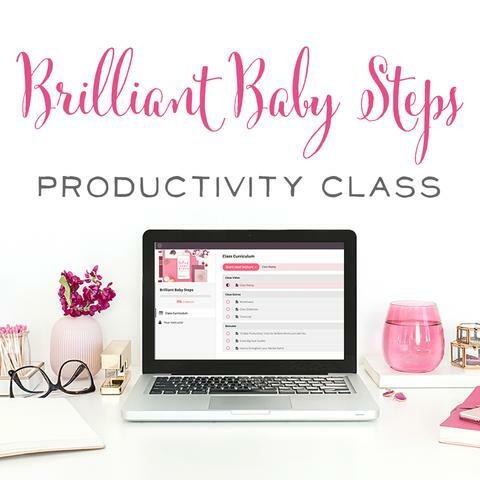 When we first started on Pinterest, of course, we didn’t have the magic key to group boards either; but over time with some scrappy workarounds and perseverance, we’ve been able to join 75+ group boards and the payoff is real! 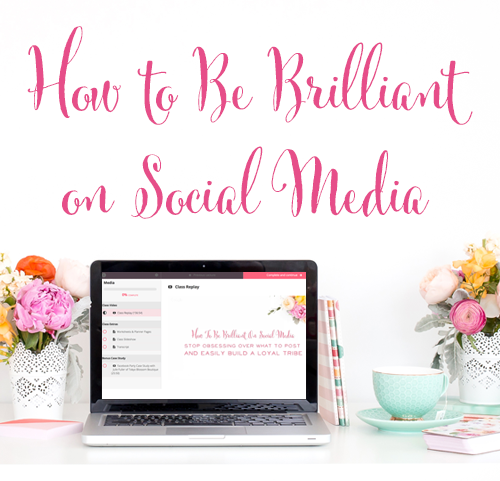 Don’t let this amazing source of repins, followers, and engagement on Pinterest scare you! We’ll tackle it together. A group board on Pinterest is owned by one person who adds other pinners who can then contribute pins to that board. Simply put, it's a collaborative board. You can request to join a group board by contacting the owner, but they have to invite you to become a collaborator before you can pin to that board. The power of group boards is incredible: you pin your content to the board and anyone who follows the board can potentially see it. That would be the owner’s audience and any of the other collaborator’s audiences–anyone who follows that board! It’s essentially free access to others pinners’ audiences, which can result in repins and new followers (which of course lead to traffic!). Why do group boards matter? A quick overview of the basics of how Pinterest works reveals why group boards are so incredible. Pinterest shows four main types of pins in anyone's feed: pins from people they follow, popular pins, suggested pins, and promoted pins (paid ads). Then there are three options of how to interact with any pin: click through the pin to its destination (a blog or shop), repin it to one of your boards, or share it with someone else. Whenever someone opts to repin a pin to one of their boards, the repin count on that pin goes up by one. Pinterest has an algorithm that takes those repins and factors a repin rate for each pinner. The higher a pinner's repin rate, the better Pinterest thinks of them, and the more likely their pins are to get shown to someone else. So, in order to convince Pinterest to show your pins to more people, you want everything you pin to get repinned as frequently as possible. And here’s the thing–it doesn’t even matter if it’s your own, original content, or someone else’s pin; when you pin (or repin) any pin, and it gets repinned, it counts towards your repin rate! A group board, because it has multiple contributors, gains followers much faster than a regular board. Here’s an example. This group board, Blogging, Marketing and Social Media has 12 contributors and 714 pins, but 237,879 followers! That’s a huge potential audience for your pins! Anything we pin to this board is not only visible to our 30,000 followers, but also to the followers of all the other collaborators, plus anyone who has followed the board specifically. In this case, nearly 240,000 people! That's a ton of potential repins. It would be crazy to not pin to this board as often as the rules allow! So, are you convinced? Let's dive in! 3 killer strategies for finding the perfect group boards! 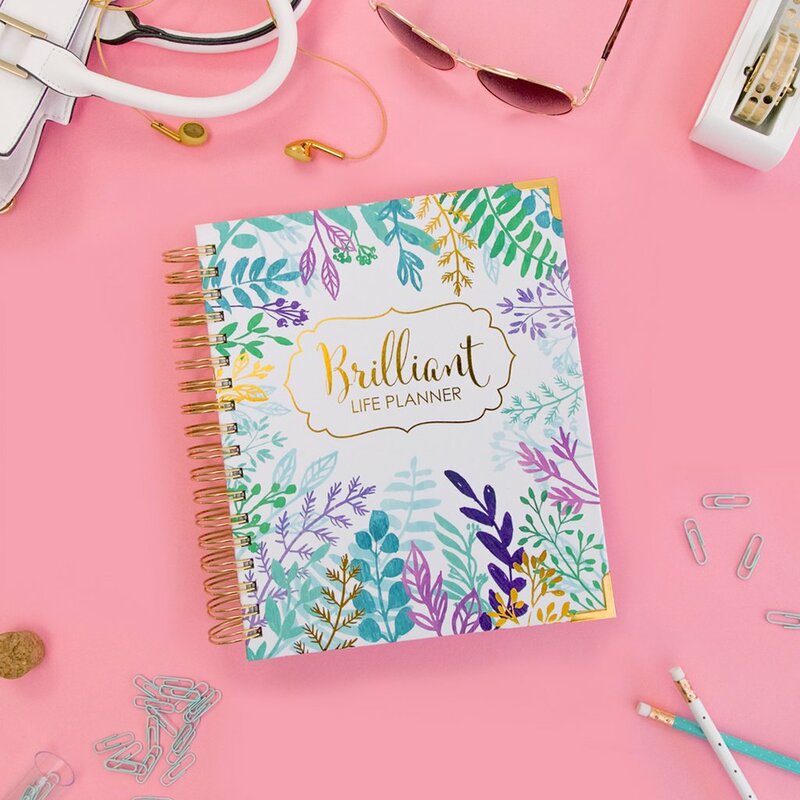 Let’s use an example from one of our own Brilliant Business Moms who sells a physical product that reaches a niche market. 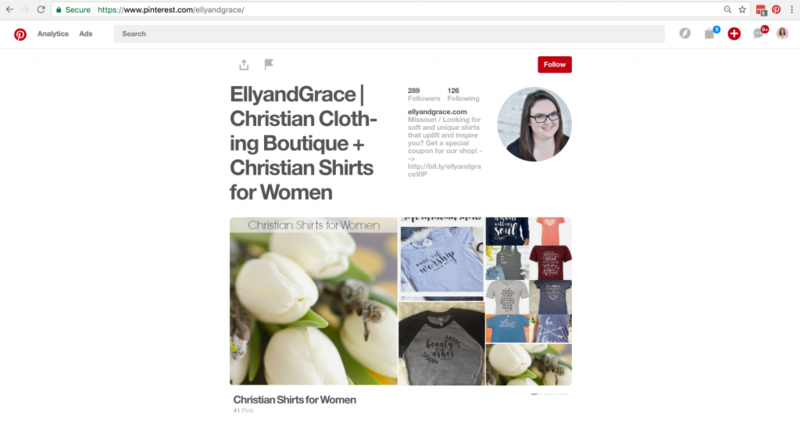 EllyandGrace sells fun, hip, Christian-themed shirts to women. She has boards not only for clothing but also for the Christian life. She could find other pinners in her niche with bigger audiences and check out the group boards they belong to. A huge name in the Christian world probably won’t join a bunch of group boards. But there are others in this niche who are rockstars on Pinterest and contribute to several active boards. 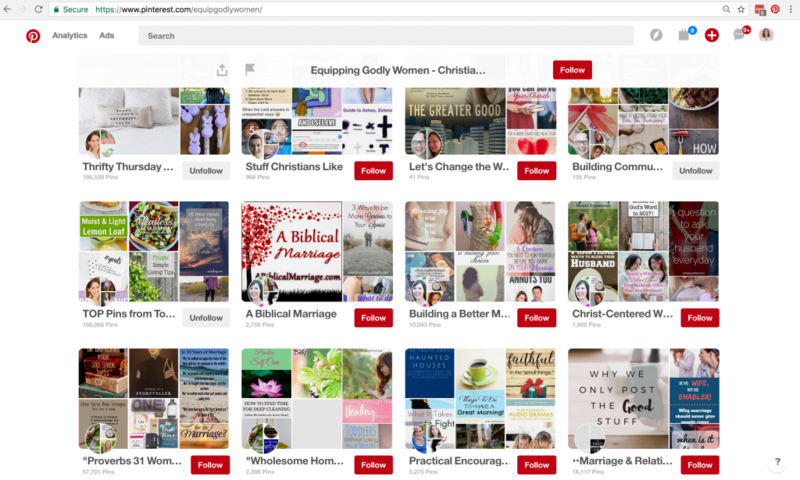 One of our own Brilliant Pinning students, (affiliate link) Brittany of Equipping Godly Women, has done an amazing job on her Pinterest account. When we hop on over to Brittany’s profile, there are tons of fabulous group boards right in EllyandGrace’s niche–all she has to do is ask the owners if she can contribute! *Tip: You can spot a group board by the circle with three profiles. The profile on the left is the owner. 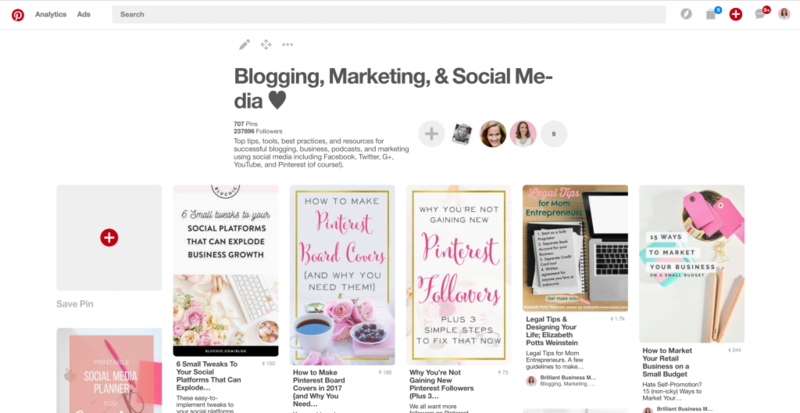 Finding other people in your niche who have a presence on Pinterest is one great way to find active, fabulous group boards. One of the benefits of a Pinterest business account is Pinterest Analytics, which you can use to find more group boards. 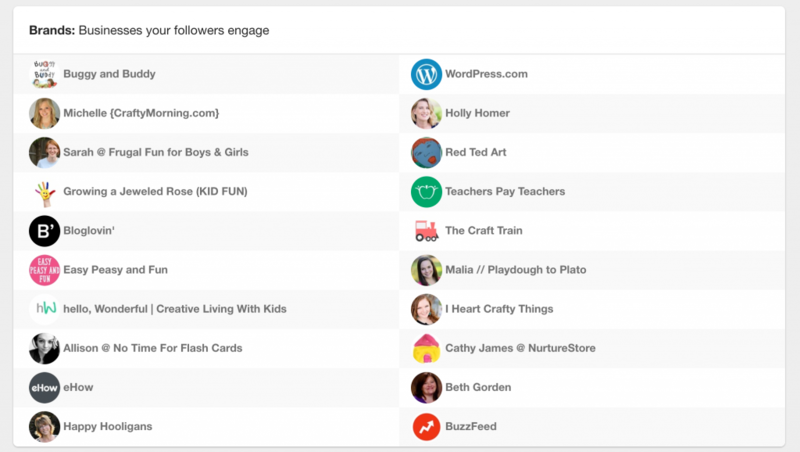 Once you’re logged into Pinterest, click Analytics in the upper left, then People You Reach, then Interests. Toggle to Your Followers not All Audiences. Then scroll down to see Brands: Businesses Your Followers Engage. Some of your results may be big companies, but most should be other people in your corner of the market who pin the same types of content you do. Ellen on our team sells simple, printable crafts that are great for moms and teachers. It's easy to see that represented in the businesses her followers engage. We checked out someone on her list–Sarah @ Frugal Fun for Boys and Girls. Sure enough, she is part of plenty of group boards that Ellen could join like STEAM Activities, Creative Activities, etc. Don’t waste the free analytics Pinterest puts at your fingertips! Find out who your followers engage, then check out the group boards they are part of! When you are struggling to find fabulous boards in your niche, this is a great option that can lead to quick success! If you sell organic baby products, create a board called Non-toxic Living. Invite anyone you know or follow, whether a friend or an influencer, to join your group board. They might sell natural make-up or chemical-free cleaners, or blog about a healthier lifestyle. Don’t be afraid to reach out! Send an email or a message through Etsy or Pinterest, or even Facebook, to someone who would be an awesome contributor to your new group board. Just say, “Hey, I'm so and so from this shop. I’ve noticed there’s a lack of group boards on this topic, so I started one. 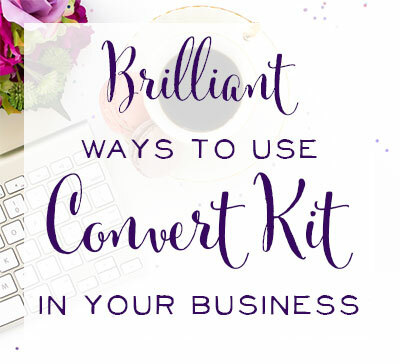 I have followed you on Pinterest and Facebook and I’d love for you to join this group board.” Link straight to the board so they can click straight to it. Remember, this has the potential to put your pins in front of their audience! A little work, and a little putting yourself out there at the beginning can result in a big payoff. Besides, the worst they can do is say No. We have so many more strategies for gaining more traffic through social media. 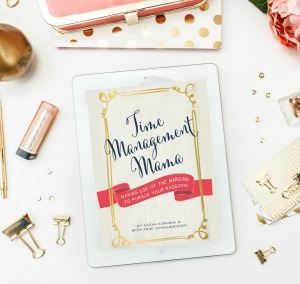 Get free social media planning pages + worksheets! 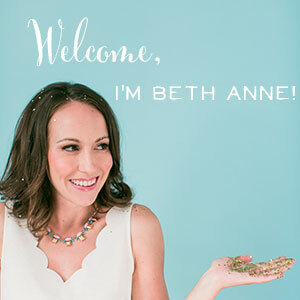 « BBM Confessions: The Team Gets Real About Virtual Assistant Work + The One Question Beth Anne has been Dying to Ask!